Rio Salado Southern ELAA students with instructor Ingrid Ellis. Imagine yourself in a foreign country. You don’t speak the language. You’re not altogether familiar with the customs or laws. You’re dependent on family for just about everything-- and you have no friends. 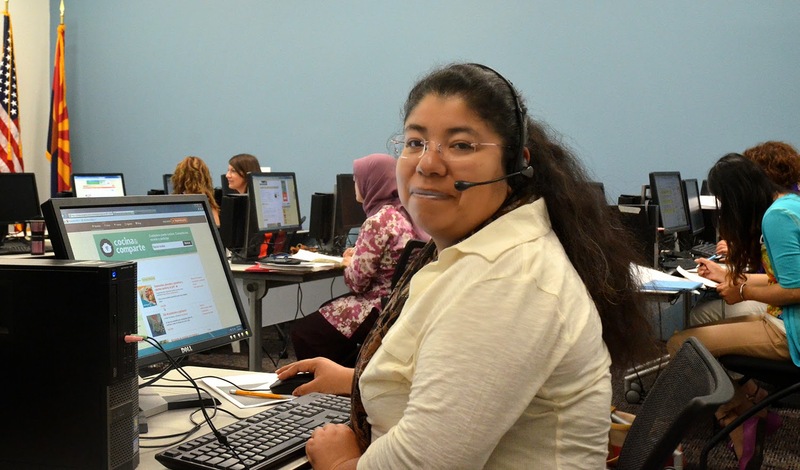 There’s a group of students taking English Language Acquisition for Adults (ELAA) classes at Rio Salado College who can tell you a thing or two about what that kind of life is like. 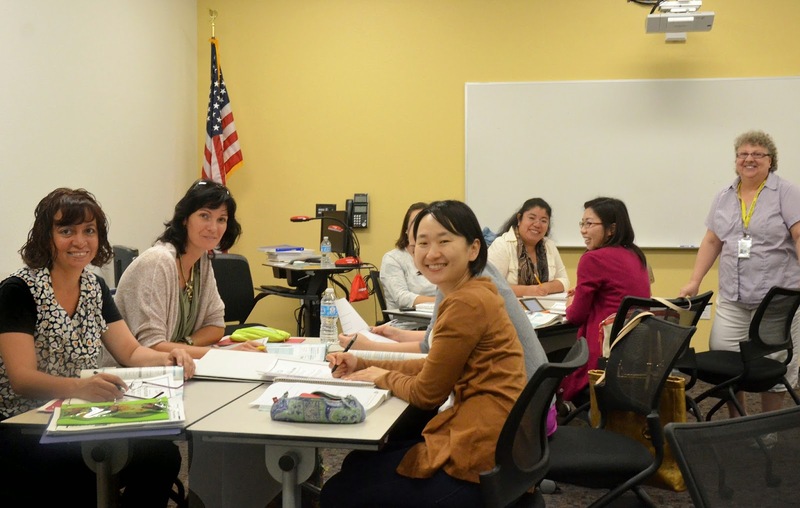 The group is comprised by about a half-dozen women who moved here from various parts of the globe and met by chance after enrolling in ELAA classes at the Rio Salado Southern location in Tempe. They have been practicing their skills in listening to, reading, speaking and writing the English language as a group under the guidance of Rio Salado instructors. Along the way, they have formed deep bonds of friendship and a support network that’s making it easier to adjust to life in the Valley. Ko Young Nim is one of the youngest members of the group. 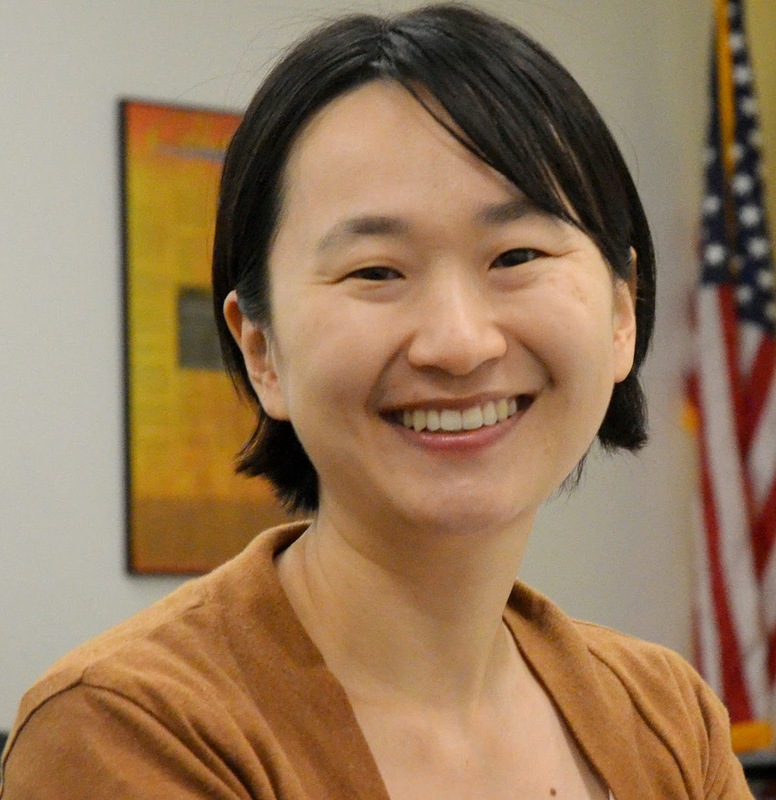 She moved to Tempe nearly three years ago from Seoul, South Korea, to be with her husband who is studying at ASU. Nim had a career as a counselor for children living with ADHT and Autism. “I have so many licenses in Korea but in the USA they are useless,” Nim said. She says she’s willing to start all over again because she and her husband want to stay in the U.S. The English language has been challenging for Nim, who said many people have difficulty understanding her. She said the instructors at Rio Salado are “very good listeners” and help fine-tune her pronunciation. Nim decided to enroll in ELAA classes two years ago after feeling isolated and homesick. Like many of the women in the group, she had no family or friends. She beams when she talks about her new friends and what they mean to her. Mojica has a bachelor’s degree in chemistry from the Universidad Nacional Autónoma de México and once enjoyed a successful career in pharmaceutical manufacturing, which she hopes to resume here when she becomes more fluent in English. Mojica explored other schools but chose Rio Salado because of the close proximity and one-on-one instruction. “I like many things, first the teachers, they are really nice. They are always in a better disposition to help us with our questions.” The other draw now, of course, is her new family. Rio Salado offers ELAA courses at several Valley locations. The non-credit classes are self-paced and available to legal residents who are at least 16-years of age. Registration fees are in the range of $25-70 per trimester. There are no prerequisites or placement tests and students at all levels of English comprehension are welcome. For more details call 480-517-8110 or visit this web page. This story can also be found in the June 28 edition of the Tempe Republic. By Annette Flores, manager of Rio Salado College media relations.